First published in 1980 and now available only from the University of New Mexico Press, this classic compilation of New Mexico folk music is based on thirty-five years of field research by a giant of modern music. Composer John Donald Robb, a passionate aficionado of the traditions of his adopted state, traveled New Mexico recording and transcribing music from the time he arrived in the Southwest in 1941. John Donald Robb (1892–1989), professor and dean emeritus of the College of Fine Arts at the University of New Mexico (1942–1957), was responsible for the growth of fine arts at the University of New Mexico in the 1940s and 1950s. 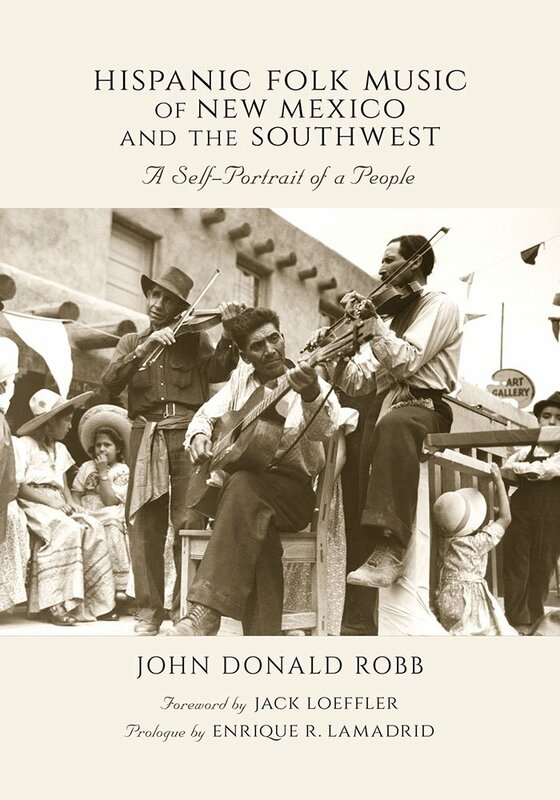 A composer of stage, classical, and electronic music, Robb was also the author of Hispanic Folk Songs of New Mexico (UNM Press). Jack Loeffler is an aural historian, radio producer, writer, and musician. He lives in Santa Fe.